All enjoying a your Saturdaynight? Mine is pretty mellow, just a relaxing night on the couch with mc pillow and dj M&M, best party ever! Last week has been a productive week. 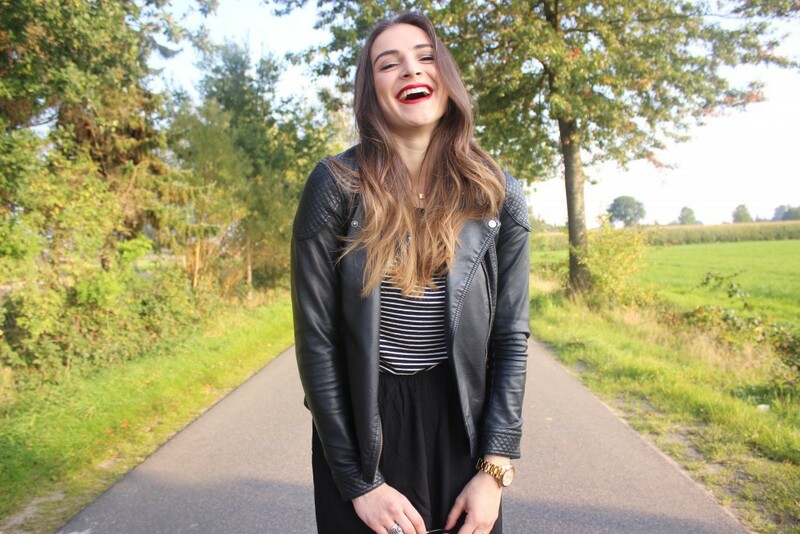 I’ve to travel three times this week to Amsterdam, two photoshoots and a schoolday. I had quite some new styling assignments lately which I will share the end results with you all soon on the blog! It’s so cool to see the end results after a long shooting day! I also met up with a dear friend of mine, one of my closest friends, Kim! Kim is my hairdresser and has her own business Horizon Coiffures, which also dyed my balayage! She made a yummy healthy breakfast for me and we also had some time to shoot this new outfit! She did a great job and next she will be also style my hair! For now this new look, an all black look with a touch of colour! Hope you all like it :)! I love summer time because it gives you a lovely summerglow. I’ve quite a pale skin so during wintertime I’m Vera aka Snowwhite. Kind of digging this nickname, after all she is a princess! 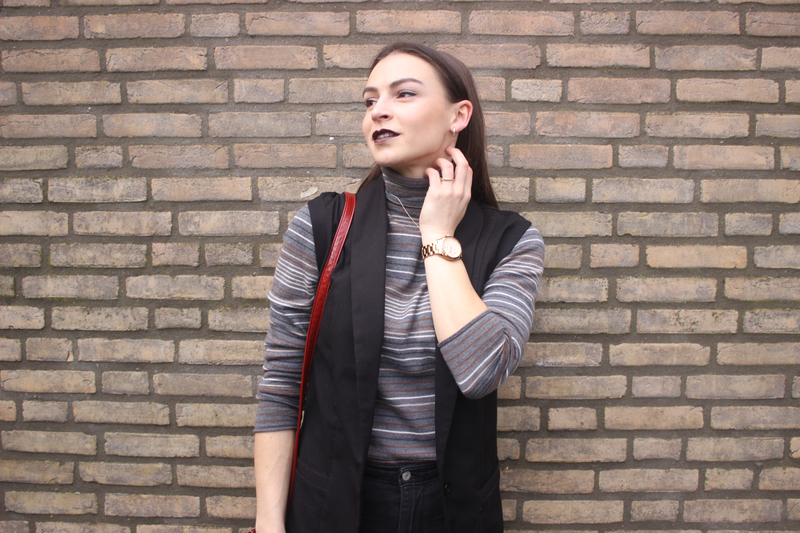 I’m wearing an vintage striped turtleneck sweater combined with a black sleeveless blazer. 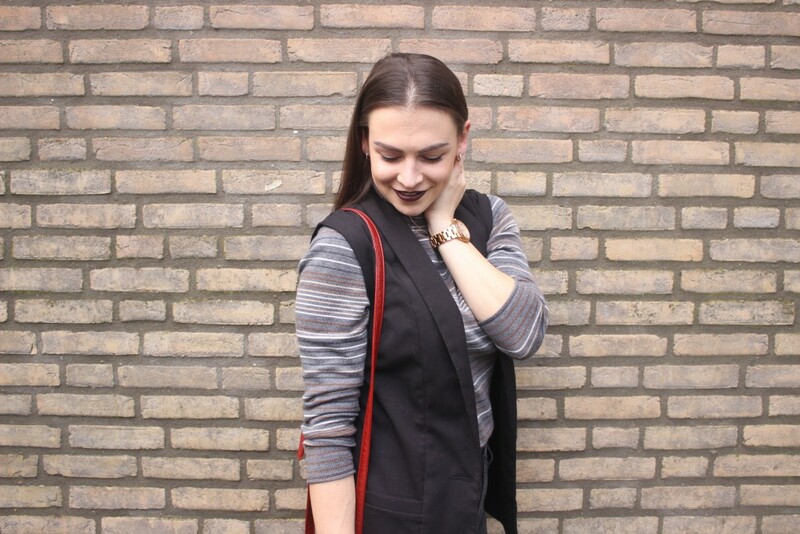 I really like to combine this sleeveless blazer, also perfect to match with the layering trend! Under that I’m wearing my customised high rise skinny from Levi’s and these fringed lace up shoes! I can’t wait to hear what you all think of this look :)! All enjoying a free weekend? I’m enjoying my free weekend with some relaxing also going to enjoy a fun night out later tonight! Tomorrow I’m going to spend my Sunday with a big sweater, leggings, warm socks on the couch, sounds like the perfect Sunday to me! Today I also finally shot a new outfit. It has been such a hectic and busy time lately so I’m happy to show you all a new one! 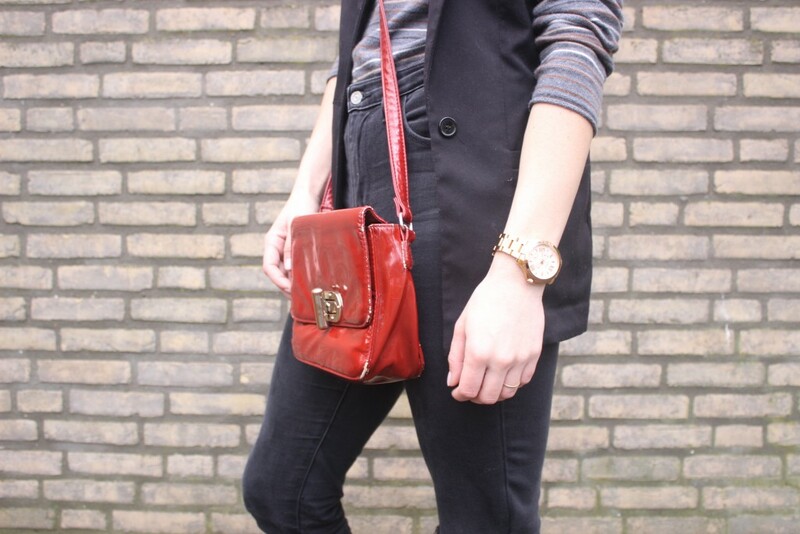 Loving the flared jeans lately and adding some fall colours with it | Dar it, Flare it! 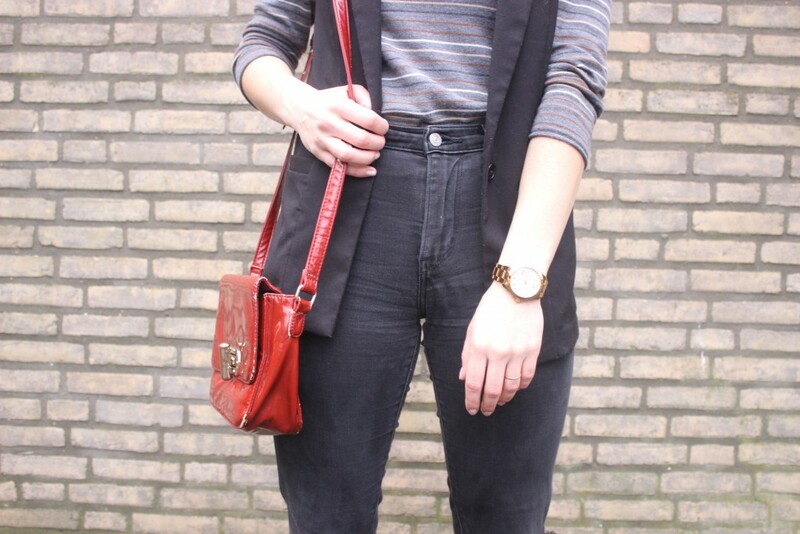 Lately I’m trying out some new items to see of they fit me or not, like the flared trousers! I’m wearing a black/ dark blue loose fit sweater and rusty coloured flared trouser. 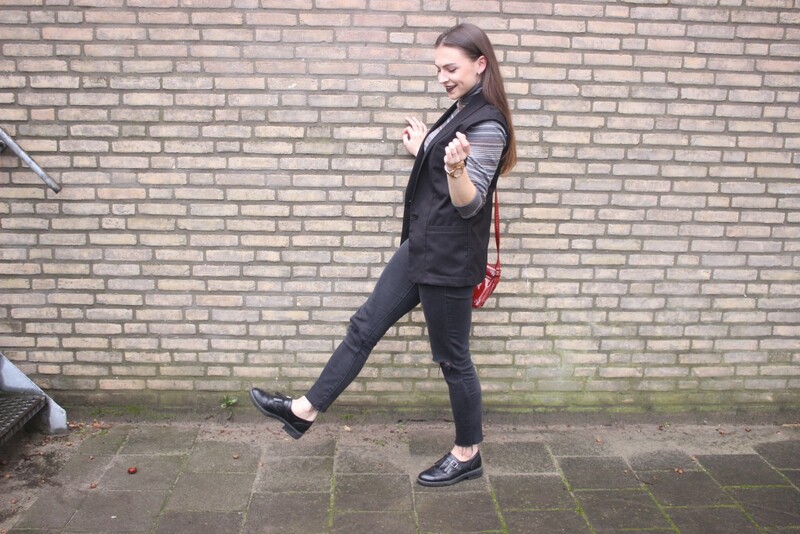 I bought this trouser at the Topshop in Amsterdam, I really like the colour with matches perfect with the fall colours at the moment! 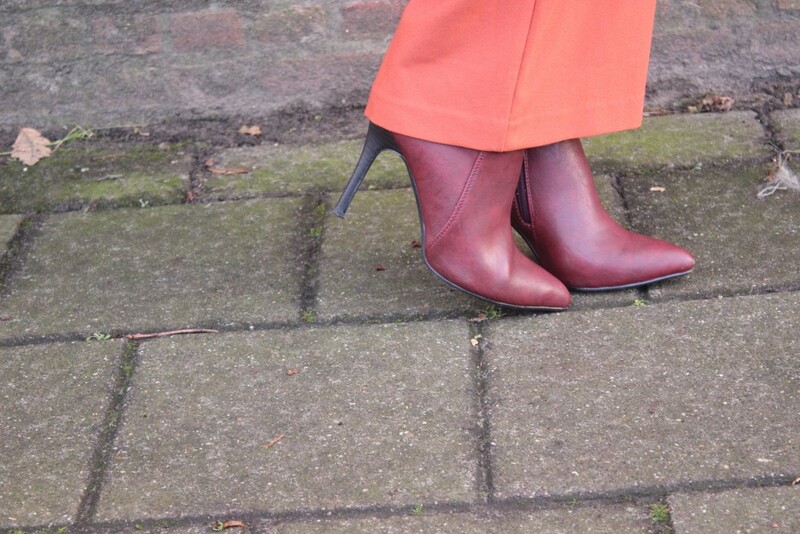 Under that I’m wearing these new heeled anke boots from Sacha! There quite high but really comfortable to walk on. 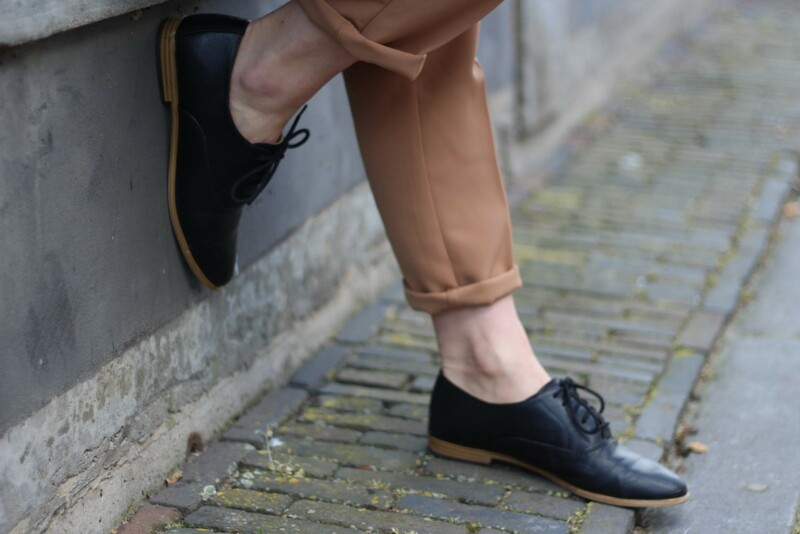 At first I wasn’t sure if I liked the match with the trousers and shoes but I kind of like it! How are you all doing today? I had a day off which I spend in Utrecht meeting up with sweet Wendy from the blog wendyvansoest.com. 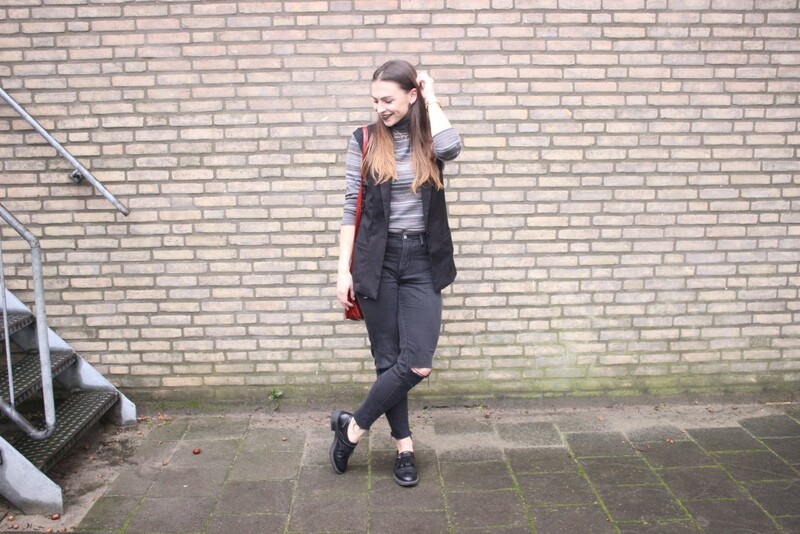 I met her for the first time when I won a giveaway on her blog for Amsterdam Fashionweek! Since them we’re meeting uo frequently, always fun times with her! For now I’ve the results of a shoot which I styled a while ago! We shot this shoot during summer time but the weather was terrible! We worked with the theme Graphic, black and white prints combined together with a graphic location. I’m so so happy with the end result, thanks to this awesome team. 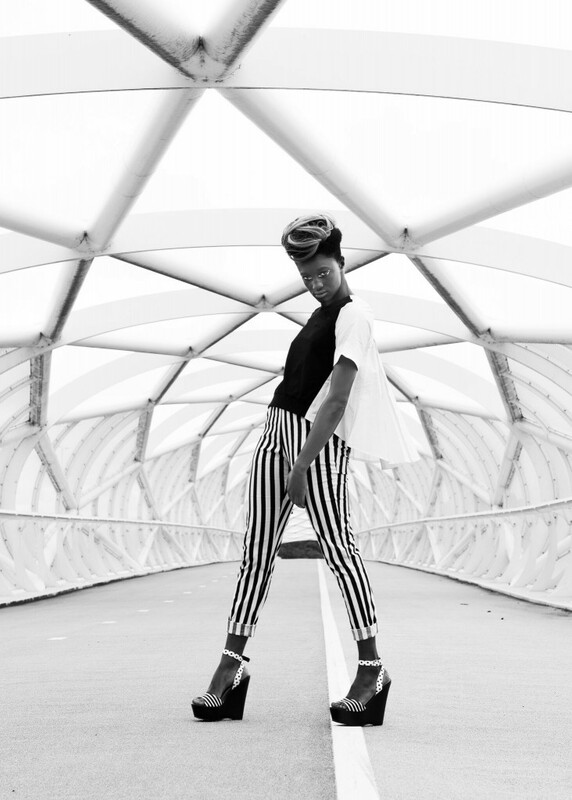 Check out Dian (photographer) her page here! Almost weekend again, what are you all up to? I’m going to enjoy a lazy Saturday and on Sunday I’m off to Amsterdam for a photoshoot! These last weeks were very hectic and busy for me so I hadn’t got enough time to shoot some outfits. These upcoming weeks I will have a lot more spare time which means new outfits and new posts. So I thought why not do a recap from one of my favorite outfits so far posted on highonthoseheels.com. Bye Bye October, Hello November! 2015 is nearly to an end, October was one of its awesome months. Lots of fun moments, surprises and seeing that my blog is still growing! Big thanks again to all the die hard and sweet readers, it’s all thanks to you all! Starting with a new week tomorrow! October was busy school month for me which really tested my stresslevel haha! Offcourse I always make time shooting some new outfits! 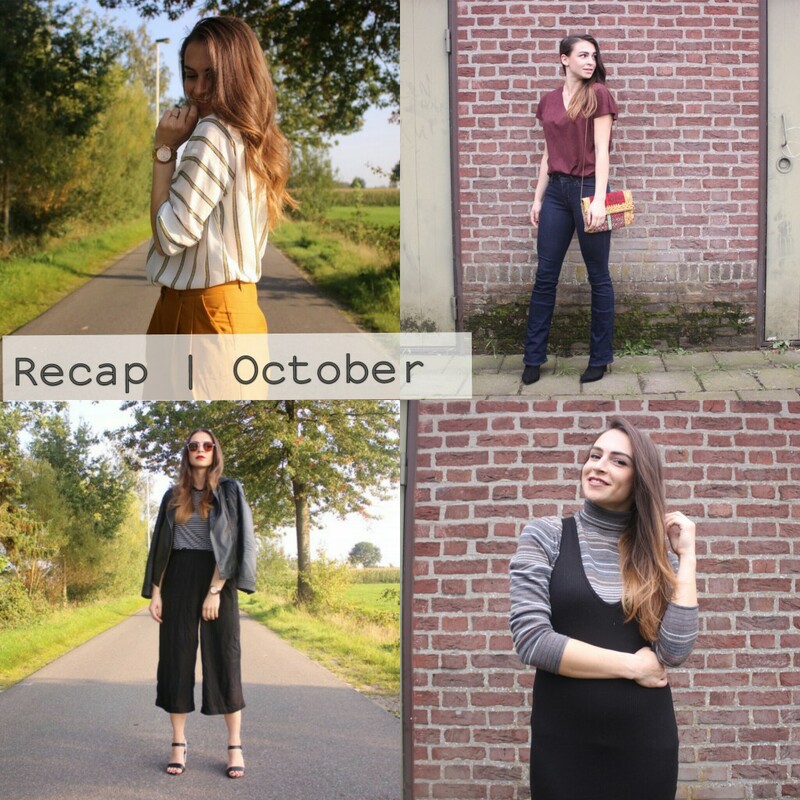 So an all and new recap with my favorite looks which I wore in October! I did some shopping these last weeks which means, new upcoming November outfits! I can’t wait to show you more new looks in November but for now enjoy these October looks!